No 8 is a Fisher Patent Bevel Square Protractor Level - tools don't have the same decoration these days. You're so right Rog ~ Thank you and a happy new year to you and yours. Rog - I think I'm going to leave all the 19th/20th century things to you. I only know about the earlier stuff- what a good team we'll make - Crowbard won't know what's hit him. P.s. 6 is a handsome pair of treen dividers, 18/early 19th century. 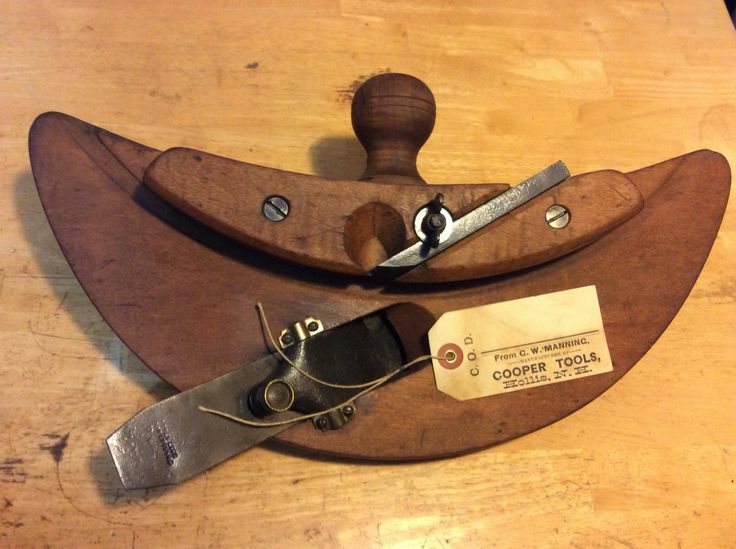 Just so Mike, this particular pair belonged to a cooper and are typical of that trade. 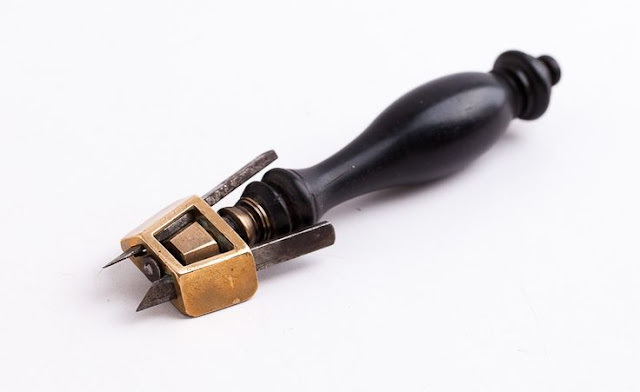 Is number 2 a bradawl? 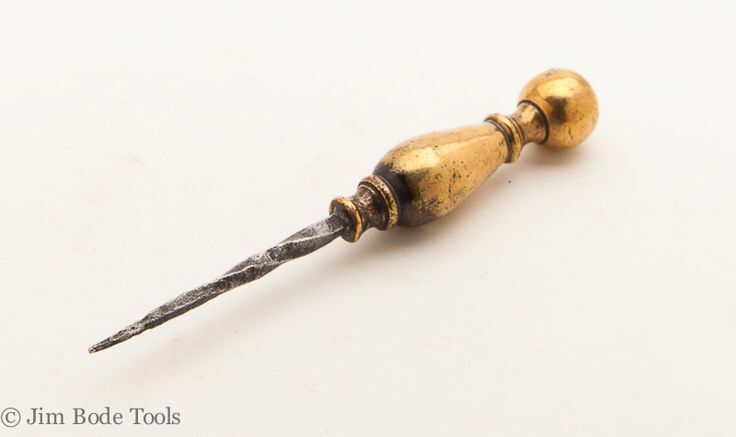 Yes, this one's a bird-cage awl. 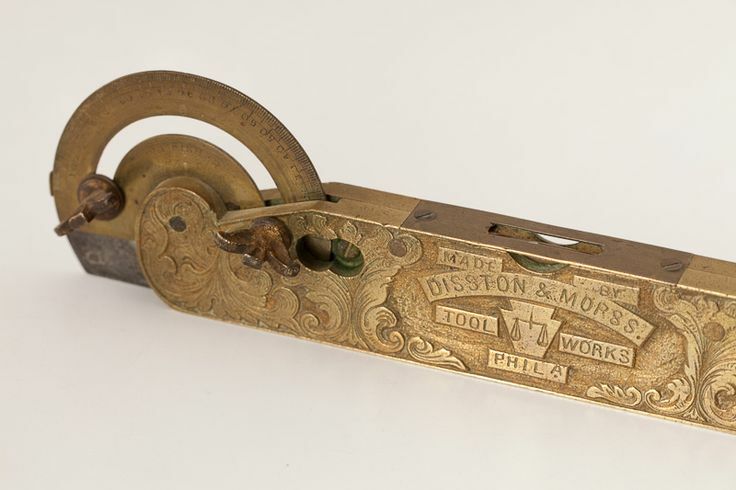 Brass handle and steel prong. (9) is, I think, a small hammer, with a claw at the other end for removing small nails. 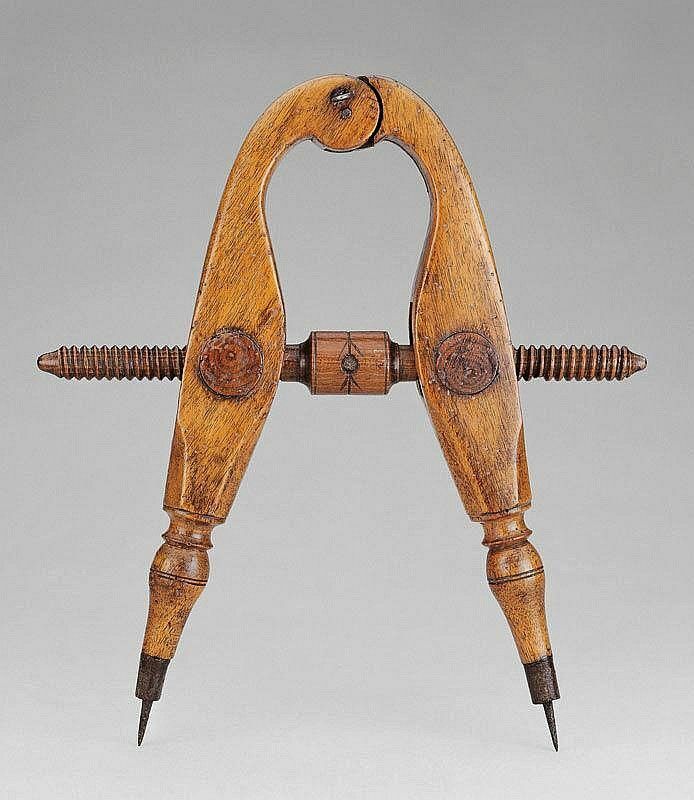 Probably an upholsterers hammer, 19th/early20th century. 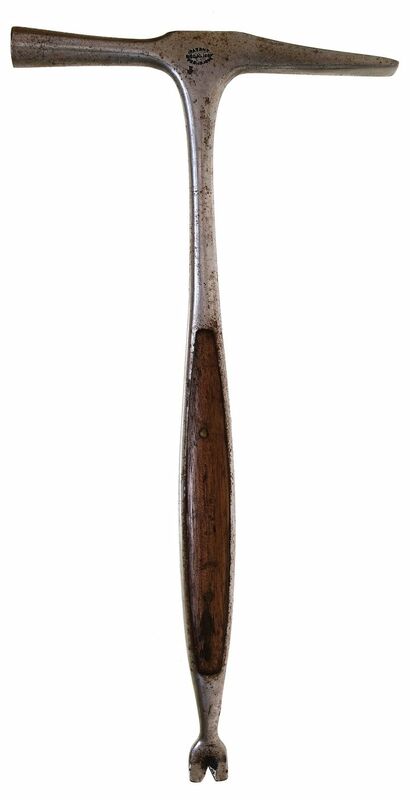 Yes, specifically for equestrian upholstery ~ It's a Conklin's patent saddler's hammer, size No.5. 1. A boxwood & brass clinometer. 3. 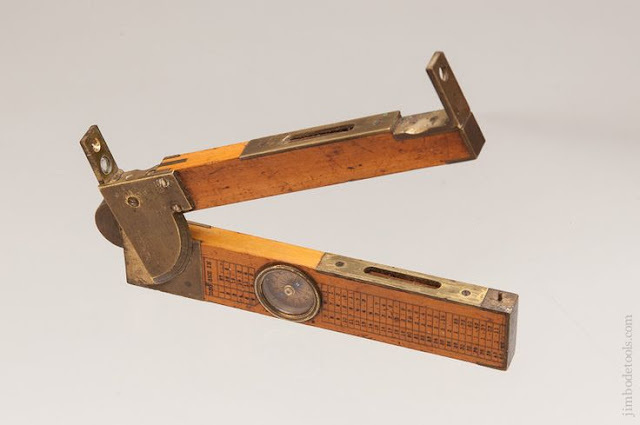 A brown & Berry's six-stem marking gauge, patented 7 July 1868. 5. 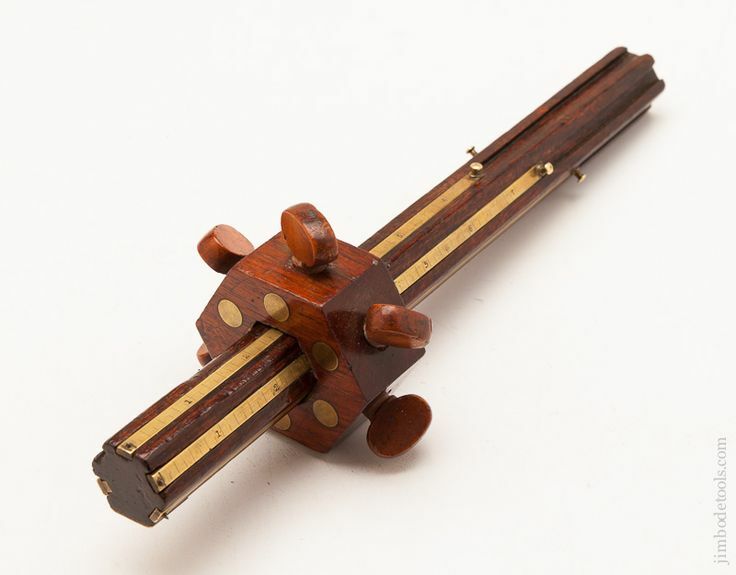 A Cooper's combination sun-plane and croze by G W Manning circa 1870. 7. An ebony handled double marking knife with right & left blades.